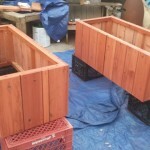 These planters are part of a bigger order, more pictures to follow. 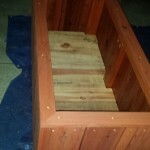 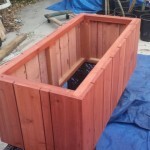 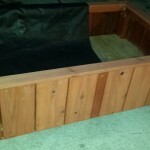 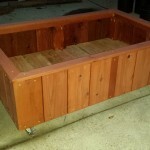 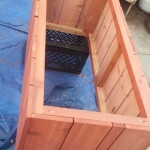 Going to be part of an organic raised bed garden in the beautiful city of La Mirada, CA. 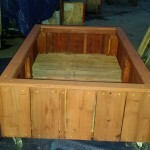 Looking forward to seeing these boxes around June, when all the plants are thriving! 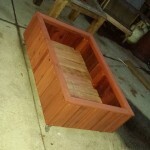 This entry was posted in custom, herb, planters, raised bed, redwood, vegetable on March 10, 2015 by Robert Curtis. 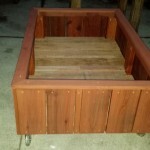 This planter came out great. 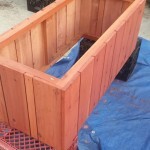 Now using sealer/stain on most planters. 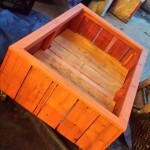 The sequoia red looks really nice. 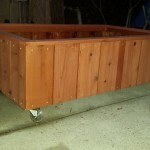 This one is 48 x 30 x 12 on caster wheels. 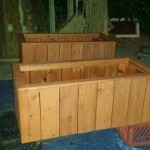 Making it’s new owners happy in Brea, CA. 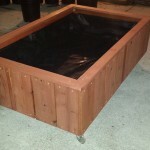 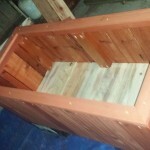 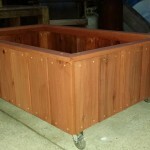 This entry was posted in custom, delivery, elevated, herb, planters, raised bed, redwood, vegetable on March 2, 2015 by Robert Curtis.